Are You The iPad’s Orson Welles? Posted on March 25, 2010 | Comments Off on Are You The iPad’s Orson Welles? And my money is still on John K. to do it. Someone fund him, for god’s sake! Comments Off on Are You The iPad’s Orson Welles? These are all from January, but still interesting. Three Apple images filed for trademarks. See them after the break. Are you a pastor? A theologian? A Master of Divinity? This app is not for you. holiwrit is not Logos, it isn’t a “Study Bible”. We forwent word studies, comparison modes, Greek & Hebrew, and much more. Why? Because we wanted to read the Bible! Since when did that need to be complicated? It can be really simple, and holiwrit proves that! Check out what that page image leads with. For years we’ve had a love/hate relationship with our RSS readers. We love the blogs we read. So much so, that we subscribe to their feeds. We want to get their new posts directly to our desktops, but something is a bit off. We feel the feed reading experience isn’t as much fun as it’s supposed to be. The content is sanitized. The blog’s design is lost and everything is laid out badly, in an endless stream of text. Add to this the intimidating unread count badges and the whole experience becomes too stressful. For one, it requires an app. I don’t want something else clogging my weak machine. Second, if you don’t go the app route, it’s via the web. And most people say use Google Reader. Tried that. Forget it! 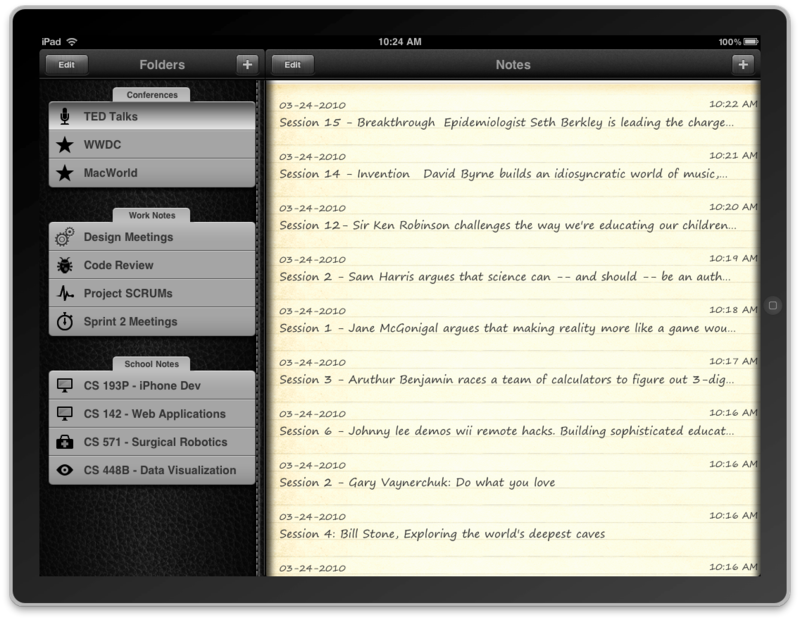 Sneak Peeks Of More iPad Apps! What’s interesting about this one is it will allow marking up PDFs — as well as saving files as PDFs. And Bento is coming for the iPad! Zach Waugh has an unknown iPad app coming. But my crap PC doesn’t. Today I was reminded of how valuable Ustream will be for the iPad thanks to Scott McKain. What’s particularly shocking is to see the word Folders there in the upper left. Not Categories or something else. Folders. I wonder how this will sync with a desktop? A nice touch, the icons for each item in the Folders list. Next Week: New iTunes With iBooks! 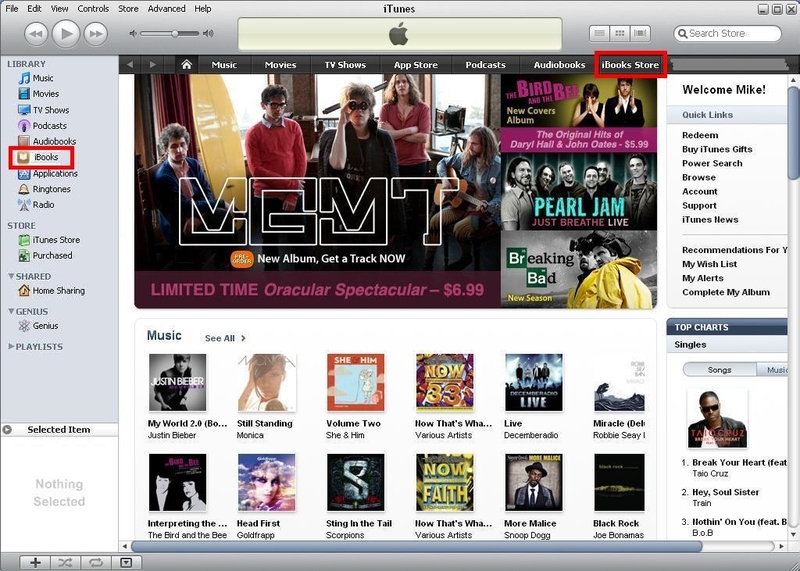 Next week Apple will release a new version of iTunes software to coincide with the launch of the iPad. This will bring eBook purchasing and reading into the software. Is this mockup what it will look like? Note that I blocked out my iTunes ID. 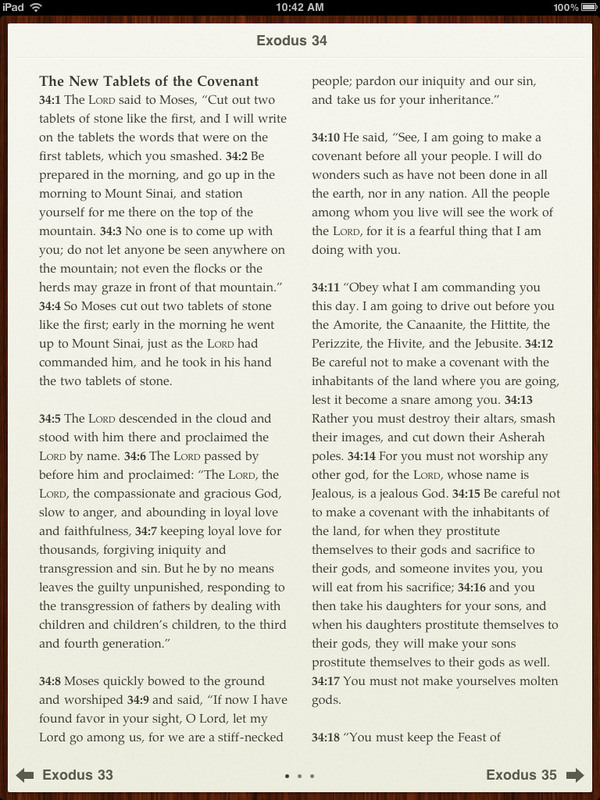 I’m also not going to try to simulate the desktop reading portion.